My Account Create a new account or modify your existing account preferences. Order Status Track the status and location of your package. FAQs Quickly troubleshoot by browsing our frequently asked questions. Shipping See our shipping information and return policies. 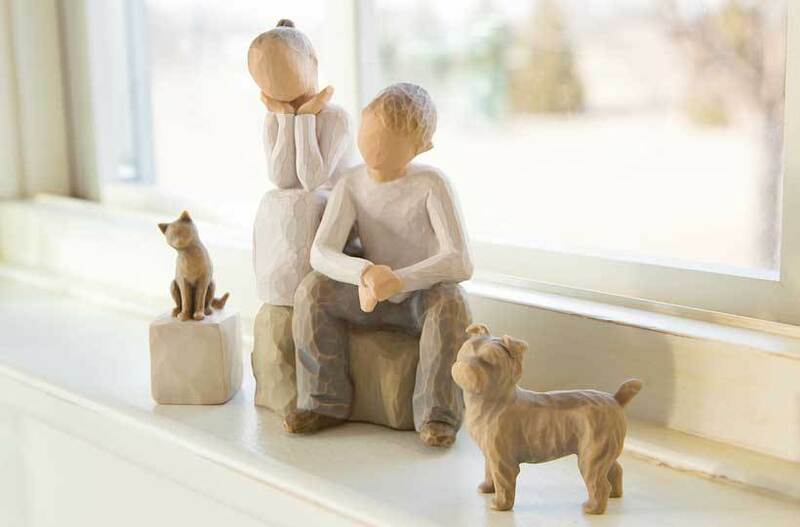 My Willow Tree® Catalog A listing of all Willow Tree® sculptures, organized by format, and year of introduction. You can keep track of pieces that you own, want or have given as gifts. Returns & Exchanges Policies and instructions for how to return or exchange items.